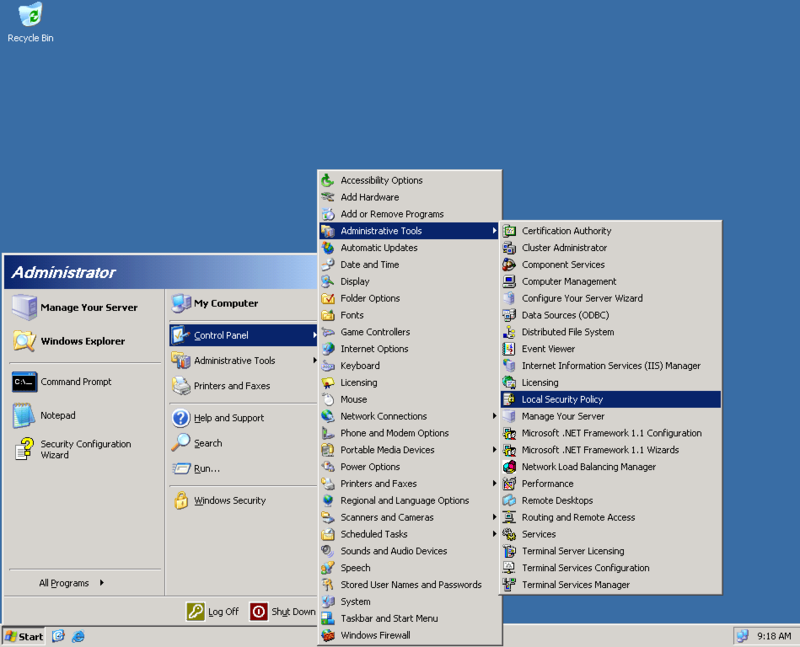 Here you will find information how to bypass the Ctrl-ALT-DEL Logon Prompt for a Windows 2003 Server. This security setting determines whether pressing Ctrl Alt Del is required before a user can log on. 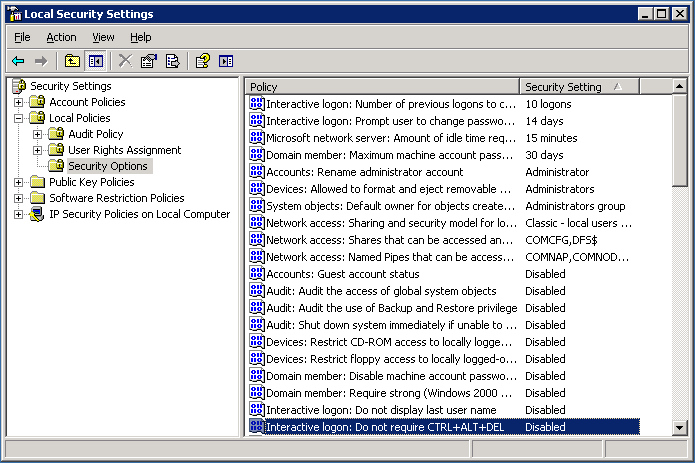 If this policy is enabled on a computer, a user is not required to press Ctrl Alt Del to log on. Not having to press Ctrl Alt Del leaves users susceptible to attacks that attempt to intercept the users' passwords. Requiring Ctrl Alt Del before users log on ensures that users are communicating by means of a trusted path when entering their passwords. Note: If this policy is disabled, any user is required to press Ctrl Alt Del before logging on to Windows. 3. 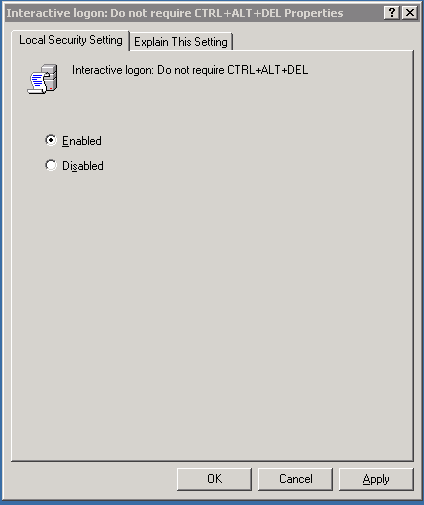 Double click on the policy for "Interactive Logon: Do not require CTRL+ALT+DEL"